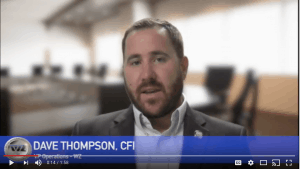 In this week’s WZ / IAI interview and interrogation training tip, Dave Thompson, CFI, discusses the importance of using engagement techniques when conducting a telephone interview. One of the struggles that people have while conducting a phone interview is developing rapport as well as keeping someone engaged and involved over the phone. People often complain that, when talking to someone over the phone, they’re not able to interpret the full meaning of what they’re saying because they can’t see any physical body language. Those concerns are understandable. What we need to do in order to make for a better conversation for both parties is to use what are called engagement techniques. For example, if I tell you a story on the phone, I’m going to talk for two or three minutes. If for some reason our call gets disconnected, and you have to call back and I have to ask, “What did you last hear?” or “Where did you drop off?”, that means I don’t really know when you were last listening. I wasn’t engaging you in the conversation; I was just talking. When someone just talks for an extended period of time over the phone, people tend to get distracted. They stop listening, they may not be paying attention, or they may even lose service. If you’re going to conduct an interview over the phone, you need to make sure you keep the person engaged. This shouldn’t be a monologue. This should be a conversation in which you allow somebody to reciprocate. Even asking small questions like, “Does that make sense?”; “Can you hear me okay?”; or “Do you understand what I mean?” can help. Those types of questions should prompt some kind of answer, even if it’s “Uh-huh,” “Yes,” or “Sure.” What that does for you as the interviewer is create a check point for the last time that person was listening to you. It also allows you to understand perhaps where they are, in what state of mind. Are they still sounding confident and involved? Are they withdrawing? Do you need to bring them back into the conversation? Using engagement techniques keeps someone involved in the conversation, allows the interviewer to feel more comfortable that someone is listening, and gives a bit of an interpretation about how that person feels about that conversation. Here’s a challenge: the next time you’re on the phone, whether it’s an interview or whether you’re just talking to a friend, don’t ramble on for two, three, or four minutes without engaging. Keep somebody involved and you’ll keep their interest. This post was originally published in 2017 and was updated July 16, 2018.